October is Pet Dental Month!!!!! Complimentary Pet Food all month long! 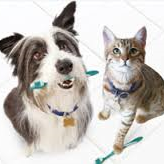 Book your Pets Dental today and Save!!! !